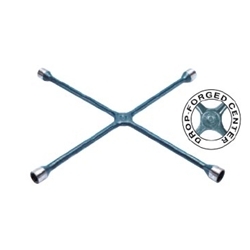 Passenger Four-Way Lug Wrench Socket Sizes 3/4", 13/16",7/8",15/16" Ken Tool T57 / BOWES KT T57. These wrenches are America’s premier professional lug wrenches for cars, light trucks, SUV’s, RV’s, and vans. Drop-forged centers for extra strength. Keep wrenches in trunk for emergencies or everyday use.